News from LMCU: It’s spring insurance checkup time, and we’re looking out for you! It’s spring insurance checkup time, and we’re looking out for you! 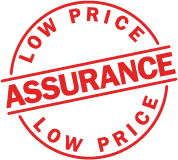 At Lake Michigan Insurance Agency, our Low Price Assurance makes spring insurance check-up time even easier. When you have your policies with LMIA, and your rates are set to go up by 15% or more, we’ll check all of our carriers to see if you can get a better rate. Also, if you’ve changed cars, bought or sold a boat, RV, motorcycle, personal watercraft or other fun-time toy, spring is the perfect time to make sure you’re not under-covered or over-insured. Do it before you bring them out of hibernation! Call us for a free policy review. And when you bundle multiple policies together, you may save even more. Call (616) 643-0623, or go online to lmcu.org/insurance for a fast, free quote.